Clear, visible and practical, the Slot Planet Mobile App offers a simplicity, but also a solid number of casino games and interesting bonuses for the players of all experience levels. Founded in 2005 with another name, Slot Planet quickly became well-known casino brand among all gaming lovers. Despite the fact it’s rebranded in 2017, they already brought a lot of promotions and interactive slots to their loyal, but also to the new customers who now can enjoy the fresh mobile gaming experience, too. Read more to find out how to start your casino adventure while you on the go. You can’t download special Slot Planet Mobile Casino App from the App store or as the APK package, but the mobile webpage is truly available for all those players with Android, Windows Phone, and iOS smartphone. Very simple, modern and suitable for handling, Slot Planet Mobile webpage placed their games into specific categories, such as Live Games, Table Games, Video Slots, Poker and Bingo. Before this division on the platform, you can easily find the newest games, but also the most popular games in Slot Planet Casino’s world of gaming. Various games occupy the whole surface, so you will easy and quickly find what you’re looking for. Unfortunately, it’s not possible to search the games yourself, such as on the website version. Customers also have additional options, such as settled drop-down menu, on the left side, but also a selection of offered languages, on the right. Except for English and German, you will also find Scandinavian languages, so you can choose between Swedish, Finish and Norwegian. 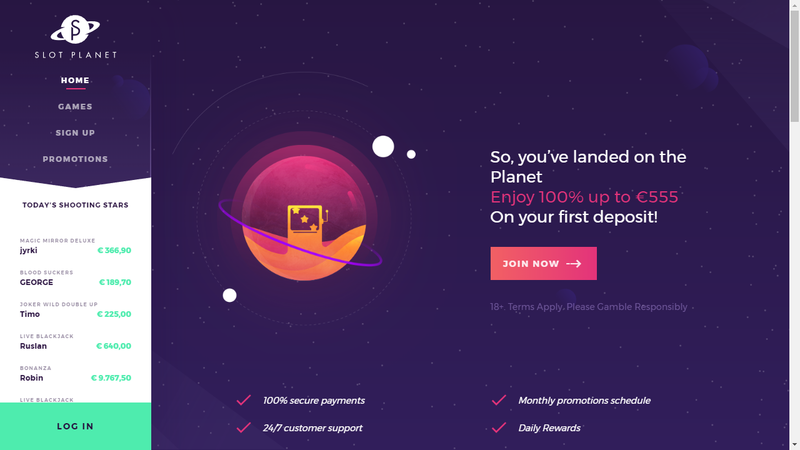 Managed by Imperium Network Solution Limited, Slot Planet offers safe and secure gaming service with the relevant standards to users, which implies security of the customer’s personal data or mobile transactions with iPhone, iPad or Android devices. The customer support team can assist you 7 days a week, 24 by email or live chat, trying to solve any of your problems as fast as they can. Whether you prefer the Visa, Mastercard, Skrill, Neteller, or some others, be aware that PayPal is not a supported payment option. On the top of the page, you have the possibility to register or login from your iPhone or Android device, in order to experience not only a lot of supported casino games but also welcome offers, promotions, and bonuses. The mobile platform doesn’t have monthly promotion calendar which shows daily, weekly or monthly bonuses, like the website has. The Slot Planet Mobile App is a newly formed, but it’s not falling behind on the big casino market. 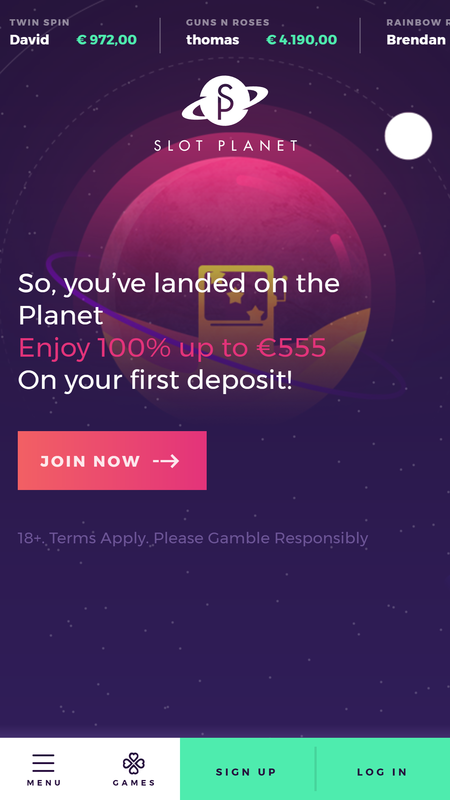 With all that is needed and with some kind of reduced attractiveness, the Slot Planet mobile platform offers modern practical interface offering a set of options for a mobile entertainment on iPhone and Android devices. Primarily, customers can enjoy all of the bonuses and promotions, but, on the other hand, they cannot play the same games as on PC where they have the larger number of options and interactive free games.